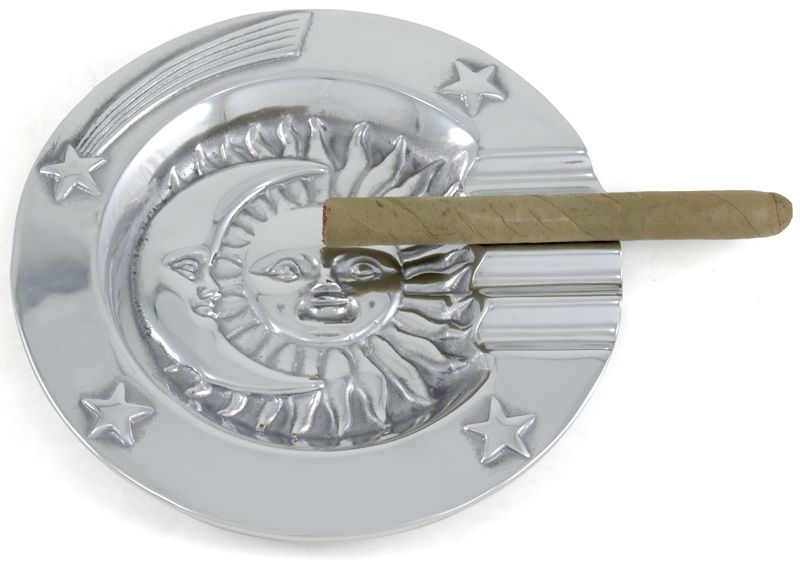 Enjoy a cigarette or cigar inside our outside with this celestial stars, moon and sun ashtray. Hand made, this pewter ashtray is made by metal crafters in Mexico. It features four grooves to rest cigars or cigarettes in, making it perfect for entertaining and sharing a smoke. The stars, moon and sun design is a great accent to any decor.